Looking for discounted flights? Well, you won’t find them directly here, but these are my go-to tips to finding flights as cheap as possible. Flights are usually the most expensive factor to any getaway. Knowing just a few basic tips can save you tons of money. Money you can spend on souvenirs, cocktails, or a another trip! 1. Always look into flying out of a major airport (For example… LAX, SFO, ATL etc)! Some flights end up costing almost half of what it would cost to fly out of your local airport. For example, when I flew to Bangkok I looked into flying out of my local airport, Las Vegas. While that is a fairly big airport, it was $1,300 round trip versus $430 flying in and out of Los Angeles. The reason that flights are less going out of a large hub airport is because there is more competition with more airlines and the landing fees are far less at larger airports. Please keep in mind, this is not always the case. I typically find this tip useful on longer flights to farther destinations. It’s important for you to always compare flights before booking. 2. Always look into flying into a major airport (For example… London, Barcelona or Rome). If you combine this step with #1, you can end up saving hundreds on flights. When flying to somewhere like Croatia or Monaco, I always fly into a large airport like London, Rome or Barcelona. Then I book a separate flight (using a budget airline) to the smaller city I want to travel to. Not only do you save hundreds of dollars on your flight, you get the benefit of seeing two cities out of it. When is the best time to book a flight? I have found the sweet spot to be roughly 4 months before you are looking to travel. I always find the cheapest flights this far in advance unless you utilize last-minute deals! If you’re like me, last-minute deals aren’t always possible because of this darn thing called “requesting time off.” Bummer, right? 4. Google Flights & Sky Scanner are your best friends! Okay… listen up. If you have flexible dates, look on Google Flights DAILY. 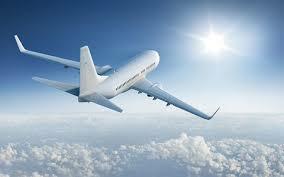 This website is so user-friendly that anyone can find cheap flights! I always play around with dates to see what combination gets me the best deal. It is also extremely easy to compare cities to fly into (step #2). BUT if you have locked in dates (for example if you are going for a holiday, wedding, long weekend, etc), you should 100% be using Skyscanner ! Sky Scanner compares the most companies and searches for the best deals possible – a serious holy grail!! All of these steps will be completely useless if you are not using incognito mode on Google. When you search for destinations around a certain date, Google will track this. If you want the most fair and honest deals, turn your web browser to incognito mode. To switch to incognito mode on a computer, click on either the 3 dots or wrench in the right hand corner. Then select “New Incognito Window.” If you are on a mobile, press the two square at the bottom right of your web browsing screen, and select private. 6. Don’t block out exact dates! The single best trick to scoring a cheap flight is flexibility. Google flights only works well if you have a range of time you can take a vacation. I always book my flight before anything else because that is always the most expensive factor. 7. Sign up for Scott’s Cheap Flights! This is a free email subscription that notifies you when there are sales or when airlines make mistakes. He has a premium subscription as well, but the free one has always been good to me! He sends out an email a day (or sometimes more), and it includes the destination that is having a great deal, where the flights are coming from, the date range, best things to do in that city, and how to book them. They are simple, to the point and extremely useful! Be prepared to book on the spot though because these flights go extremely fast. I hope these tips work well for you too – If they did, I’d love to hear about it! Psst.. Before booking your flight be sure to check out my latest post: 10 of the WORST people to travel with!